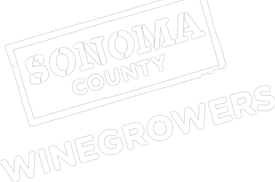 Don’t miss the Sonoma County Winegrower’s Annual Grower Seminar, Tradeshow and Barbeque on Friday, April 12, 2019. The event is open to all wine industry, allied industry members and the public. The tradeshow will features more than 30 local Sponsors and agencies exhibiting tools, new technologies, resources and professional services.. Lunch with Sonoma County wines is included with the ticket price. This year’s keynote speaker for the event is Dr. David Kohl, Professor Emeritus, Department of Agriculture and Applied Economics, Virginia Tech. Dr. Kohl will be presenting on how to position for success in the economic reset. In addition, this event will also include an update from President Karissa Kruse on key Sonoma County Winegrowers marketing activities, sustainability initiatives, and much more. We will also present the annual Viticulture Award of Excellence and we’ll serve another great lunch with wine! Please visit here to RSVP to attend. We look forward to seeing you!